Written by wouter on Dec 12 2018, 09:59. Written by joseplluisat on Oct 26 2018, 11:57. 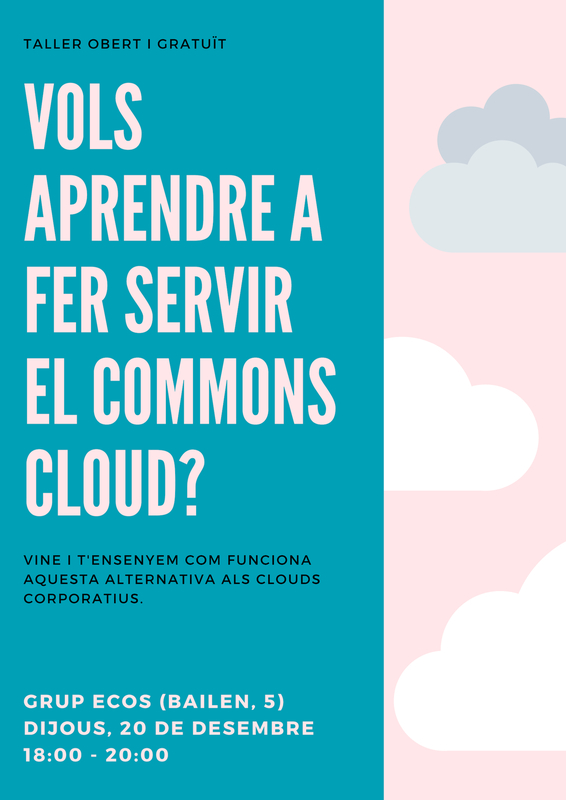 The ambition of the CommonsCloud project is to offer an alternative to the proprietary cloud platforms, which is as good or better, under the control of its users, replicable as free software and well documented. We are talking collaborative web applications to edit, store and share documents, agendas, collaboratively manage projects and facilitate debate and decisionmaking. The way we do this is through an alliance of collectives committed to free software and digital sovereighnty and building on the best webapplications that are already out there and bring them together in a userfriendly environment where people help each other to benefit the most and enhance their awareness of the importance of self-governance and sovereighnty. 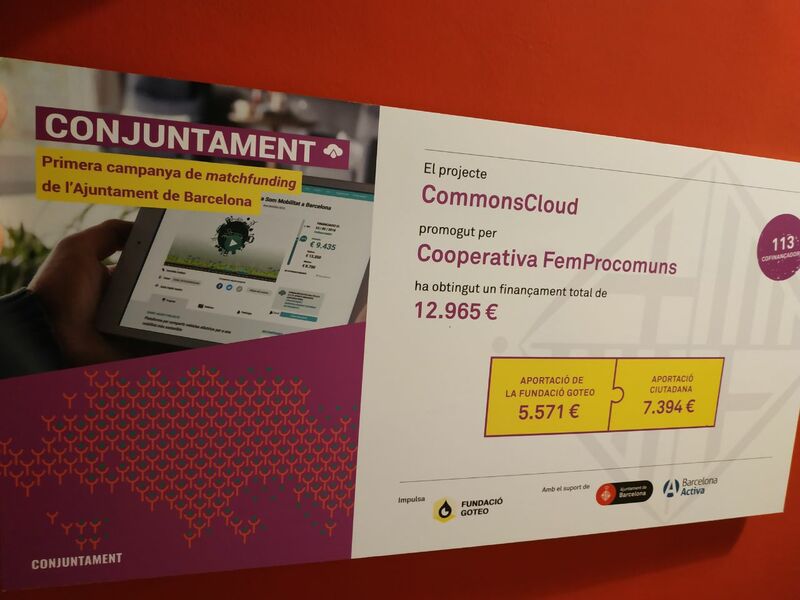 Collectives and users have a say in the decisionmaking of the CommonsCloud, through the platform cooperative femProcomuns, where users can become co-owners by depositing once 10 € each and by paying a monthly contribution to enjoy the premium services, while the core services can already be accessed with a free-of-charge account so anybody can choose his/her contribution according to capacity and needs.